The turning point came when His Majesty Sultan Qaboos bin Said, Sultan of Oman, offered his blessings and support for the project. His vision provided a new impetus to the idea proposed by Singapore to explore the possibility of recreating such a ship in the spirit of Oman’s proud maritime heritage and historic skill in sailing in such traditional ships. His Majesty saw in the scheme an opportunity to express the friendly cooperation between Oman and Singapore. Oman would undertake the construction of the ship, which would then sail along ancient trade routes from Muscat to Singapore, to be presented to the people of Singapore as a gift from Oman. The ship’s voyage would serve as a living symbol of friendly cooperation between the countries of the Indian Ocean, and an expression of His Majesty’s vision for Oman as a friend to the world. 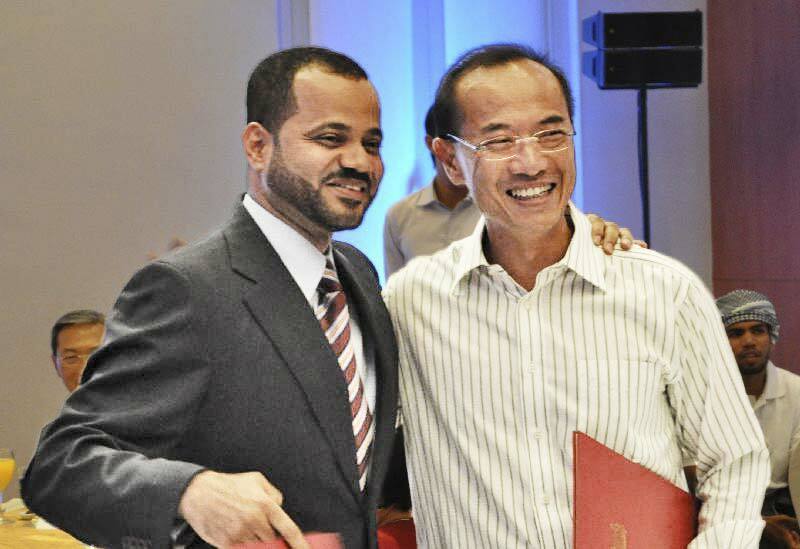 In February 2007 Oman and Singapore signed a memorandum of understanding in Muscat and the Jewel of Muscat project was born.